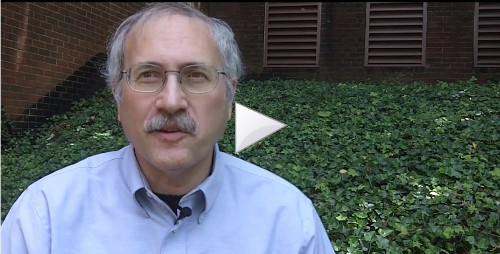 In this NIMBioS video, Dr. Louis Gross and Dr. Suzanne Lenhart describe their new textbook, which aims to assist students in learning about mathematical models used to explore and explain biology. Movie Credit: NIMBioS. KNOXVILLE—Today's students in college biology and other science courses are increasingly being asked to analyze problems in quantitative ways, and now they have a new textbook to help them do so. 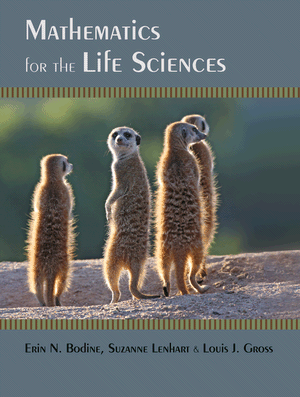 "Mathematics for the Life Sciences," published this month by Princeton Press and co-authored by scientists at the National Institute for Mathematical and Biological Synthesis (NIMBioS), teaches readers about basic mathematical and statistical methods that can be used to explore and explain biological phenomena. Suitable for entry-level students in biology, agriculture, forestry, wildlife, veterinary science, pre-medicine or pre-health, the textbook introduces readers to the variety of mathematical methods used to create and evaluate models in biology. All that is needed is prior experience with high school algebra, geometry and trigonometry. The computer tool Matlab and the R language, frequently used in biology, are also introduced to illustrate examples and constructs in basic coding. The textbook consists of 28 chapters in seven sections—descriptive statistics, discrete time modeling, probability, limits and continuity, derivatives, integration, and differential equations—with exercises at the end of each chapter and suggested student projects at the end of each unit. "The general aim of the book is to show how mathematics and computational tools can be used effectively to explain problems in the biological sciences that cannot be understand as easily from verbal reasoning alone or from simply analyzing experimental data," said co-author and NIMBioS Director Louis J. Gross. "The goal is to help readers develop an intuition for the mathematical concepts and techniques discussed in the book so that they can be applied in diverse areas of biology." Other authors are NIMBioS Associate Director for Education and Outreach Suzanne Lenhart and Erin N. Bodine, a former NIMBioS graduate research assistant and now an assistant professor of mathematics at Rhodes College. Citation: Bodine EN, Lenhart S, Gross LJ. 2014. Mathematics for the Life Sciences. Princeton, NJ: Princeton Press. ISBN: 9780691150727. The National Institute for Mathematical and Biological Synthesis is an NSF-supported center that brings together researchers from around the world to collaborate across disciplinary boundaries to investigate solutions to basic and applied problems in the life sciences. NIMBioS is supported by the National Science Foundation, the U.S. Department of Homeland Security, and the U.S. Department of Agriculture with additional support from The University of Tennessee, Knoxville.